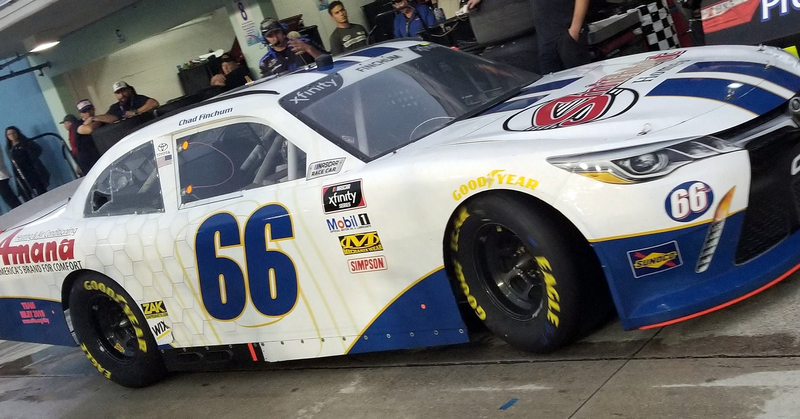 Chad Finchum Races to Top-20 Performance in NASCAR Xfinity Series "Home Game"
"We were so fast in qualifying, and ended up 18th, which is our best qualifying effort of the season. I thought at one point we might be as high as 14th or so but we just missed it barely," Finchum said. "In the race we were good the whole day, and I thought we were going to end up with a Top-15 finish. I'm not disappointed with this finish by any means, but the flat tire late definitely cost us some spots. I couldn't be more proud to have such a great run with this great team at my home track." 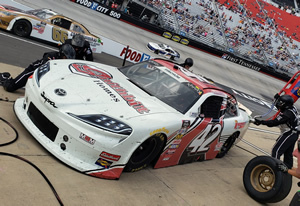 Starting 18th on the grid for the Alsco 300 at Bristol Motor Speedway, Chad ran around mid-pack throughout the first stage before crossing the stage in the 22nd position. During the second stage he lost a lap, but regained it with a wave around at the end of the stage. While he was scored in the 23rd position at the end of stage two, the third stage is when things really got interesting for the Tennessee racer. 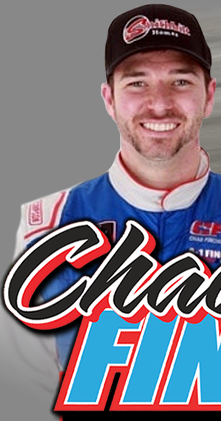 Chad was running in the Top 15 with less than 15 laps to go when he cut a tire. He was luckily able to keep the car out of the wall. Despite the flat tire and damage to the splitter, Finchum soldiered ahead to finish 20th.